Samuel was born about 1730 in Washington, Virginia. He married Nancy Ann Colville in 1753 in Frederick, Virginia. Nancy was born about 1733 in Frederick, Virginia. 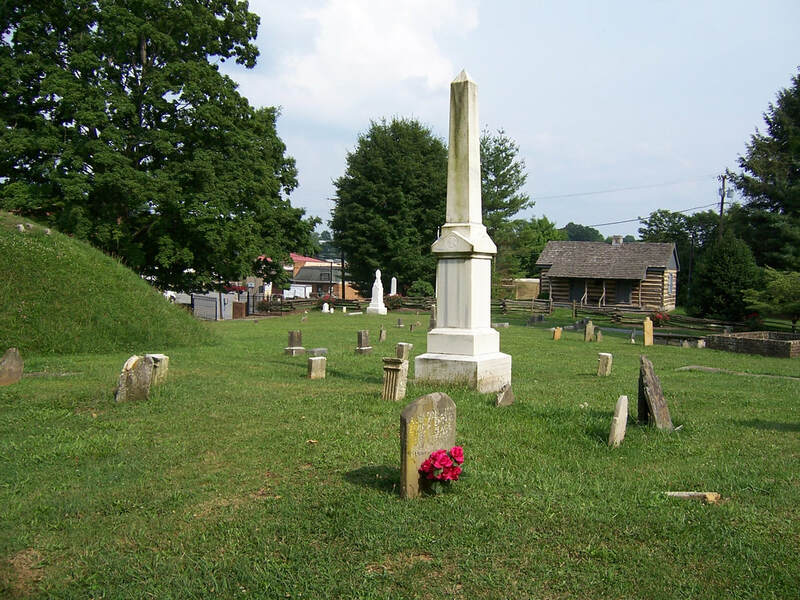 Samuel died in 1798 in Knox, Tennessee and is believed to be buried in Strawberry Plains, Jefferson County, Tennessee. Nancy died in 1790 in Arlington, Washington County, Virginia and is buried in Sinking Springs Cemetery, Abingdon, Virginia. Samuel fought in the Revolutionary War as a private in the Virginia Continental Line. Samuel fought in the first major patriot victory of the war, The Battle of Kings Mountain on October 7, 1780. Wikipedia.com has the best description of The Battle of Kings Mountain. The Battle of Kings Mountain was a decisive victory in South Carolina for the Patriot militia over the Loyalist militia in the Southern campaign of the American Revolutionary War. The battle took place on October 7, 1780, 9 miles (14 km) south of the present-day town of Kings Mountain, North Carolina in rural Cherokee County, South Carolina, where the Patriot militia defeated the Loyalist militia commanded by British Major Patrick Ferguson of the 71st Foot. Private in the VA Continental Line. According to pension record in Roan Co., TN., heirs, etc. received a pension starting in 1819 annually. SAR # 49033. The US House of Representatives Private Claims in Congress 23, Session 1, journal page 242 shows that Samuel Evans petitioned for Bounty land for his service in the Revolutionary War, it was referred to committee. Washington County Virginia 1787 tax list showing Samuel Evans and his son Joseph Evans who was executor of Samuel's will. Samuel has one male over age 16 and less than 21. Females and males under 16 weren't counted. From another Evans researcher: I found the following letter transcriptions in the Evans Family file of the Will E. Parham Collection, McClung Library Collection, Lawson McGhee Library in Knoxville TN. I have typed this exactly as found--including spaces. The brackets are mine. Abstract of a letter found at the home of D.R. Pittner, Trundle X Roads: ...In same house I saw a copy of a Will made By "Samuel Evans of Washington County, Virginia****my daughter Dolly Creswell. **son Charles Evans. **balance to be equally devided [sic] between my children, Dolly Creswell, Joseph Evans, Andrew Evans, Elizabeth M--(faded away) Peggy Vance, James, Samuel, David, Robert and Charles Evans. ***my Executors to be, son Joseph and son-in-law Andrew Creswell**this the seventh day of February 1792--Samuel Evans. withesses [sic] Samuel Evans and Andrew Creswell..."
The following story is found in the book “History of Southwest Virginia, 1746-1786” by the Historical Society of Richmond, VA J. L. Hill Printing Company, 1903. At the time of the organization of the county. Dr. Thomas Walker, Joseph Black and Samuel Briggs agreed to give one hundred and twenty acres of land in the county of Washington agree- ably to a survey thereof made by Robert Doach for the purpose of establishing a town thereon, and for raising a sum of money towards defraying the expenses of building a courthouse and prison. This offer was made by the gentlemen mentioned to the County Court as an inducement to have them establish the county seat near Black's Fort and adjoining their other lands. Tradition says that the court hesitated for some time in making a selection between Wolf Hills, (now Abingdon), and Shugarts- ville, (now Green Spring). From a perusal of the orders of the County Court, it appears that a number of logs and other timber had been gathered at Mr. Black's for the purpose of building a magazine when, on the 27th day of August, 1777, the County Court ordered the sheriff to employ some person or persons, upon the best terms he could, to remove the logs and other timber at Mr. Black's for the purpose of building a magazine, to some convenient place where the town is to stand and there to be built for a courthouse. And likewise to build a prison fourteen feet square, with square timber, twelve inches each way, and a good shingle roof," with directions to line the side wall and under floor with two-inch plank, and put nine iron spikes in each plank, six inches long in lieu of a stone wall. Pursuant to this order, the sheriff of the county let the contract for the building of the county courthouse to Samuel Evans; to Abraham Goodpasture, the building of a prison; to G. Martin, the contract for making irons for criminals, and to Hugh Berry the contract for making the nails to be used in the building of the courthouse. From the orders of the court at this term, it appears that Samuel Evans had not completed the courthouse, pursuant to contract, and Joseph Black was directed to agree with Evans as to the amount he should receive for the work that he had done upon the court- house; and the sheriff was directed to agree with some person to finish the courthouse. Charles Cummings at the Reverend Presbytery of Hanover when sitting at the Tinkling Springs, in Angusta county. This call was reduced to writing and signed by the members of the Sinking Spring and Ebbing Spring congregations. It was presented to the Presbytery by Samuel Edmiston for the services of Mr. Cummings at Brown's meeting-house, in Augusta county, on June 3, 1773. The call with the signatures thereto is as follows: "
A call from the united congregations of Ebbing, and Sinking springs, on Holston's river, Fincastle county, to be presented to the Rev, Charles Cummings, minister of the gospel, at the Eeverend Presbytery of Hanover when sitting at the Tinkling Spring: Worthy and Dear Sir, — We, being in very destitute circum- stances for want of the ordinances of Christ's house statedly ad- ministered amongst us ; many of us under very distressing spiritual languishments ; and multitudes perishing in our sins for want of the bread of life broken among us; our Sabbaths too much pro- faned, or at least wasted in melancholy silence at home, our hearts and hands discouraged, and our spirits broken with our mournful condition, so that human language cannot sufficiently paint. Hav- ing had the happiness, by the good providence of God, of enjoying part of your labors to our abundant satisfaction, and being uni- versally well satisfied by our experience of your ministerial abili- ties, piety, literature, prudence and peculiar agreeableness of your qualifications to us in particular as a gospel minister — we do, worthy and dear sir, from our very hearts, and with the most cor- dial affection and unanimity agree to call, invite and entreat you to undertake the office of a pastor among us, and the care and charge of our precious souls, and upon your accepting of this our call, we do promise that we will receive the word of God from your mouth, attend on your ministry, instruction and reproofs, in public and private, and submit to the discipline which Christ has appointed in his church, administered by you while regulated by the word of God and agreeable to our confession of faith and directory. And that you may give yourself wholly up to the important work of the ministry, we hereby promise to pay you annually the sum of ninety poimds from the time of your accepting this our call ; and that we shall behave ourselves towards you with all that dutiful respect and affection that becomes a people towards their minister, using all means within our power to render your life comfortable and 140 SovtJL'west Virginia, 17Ji6-17S6. liapp}''. We entreat 3'ou, worthy and dear sir, to have compassion u])on us in this remote part of the world, and accept this our call and invitation to the pastoral charge of our precious and immortal souls, and we shall hold ourselves bound to pray. (George Blackburn, Win. Blackburn, John Vance, John Casey, Benjamin Logan, l»(bert Edmiston, Thomas Berry, Robert Trimble, AVm. McGaughey, David Dry den, V.'m. McNabb, John Davis, ] [albert McClure, Arthur Blackburn, "^ Tiathl. Davis, Saml. Evans, \Vm. Kennedy, "